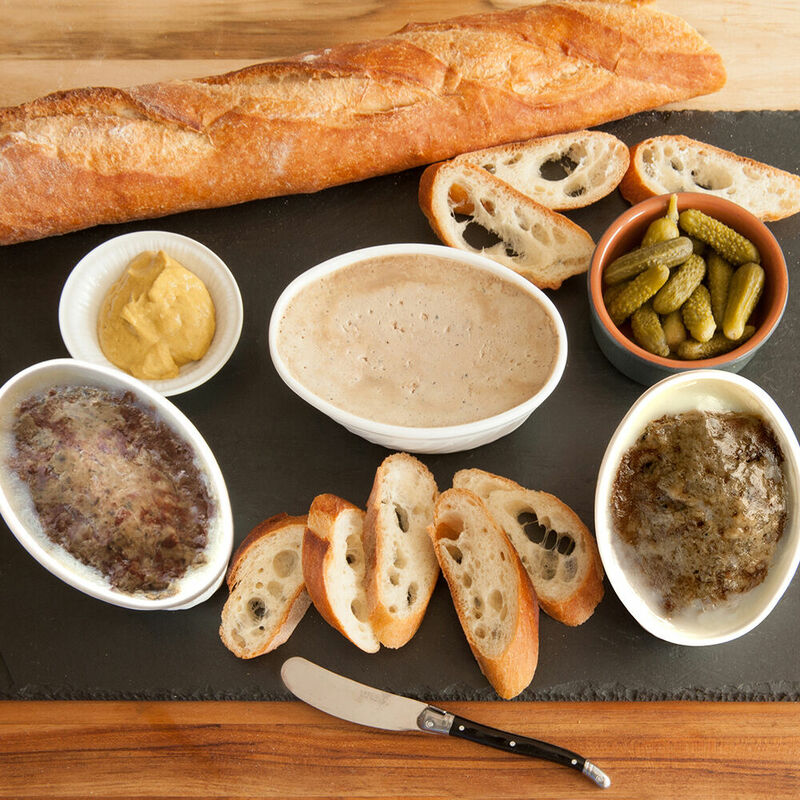 This signature collection contains a trio of our most popular French pâtés, mousses and terrines. Each is made from D’Artagnan’s exclusive, traditional recipes using artisanal methods with only the finest ingredients. All are antibiotic and hormone free,* with no chemicals or fillers added. Those who love to entertain will want to keep this signature collection tucked in the refrigerator for an elegant spread that’s easy to prepare. Serve it as the centerpiece of an al fresco picnic lunch, or as part of a gorgeous charcuterie platter. Note: Please see individual product pages for nutritional and allergen information. All terrine containers are BPA free. *Federal regulations prohibit the use of hormones in pork.